Good evening ladies. I have recently acquired a number of unfinished dishes quilts from my grandmother. I promised her that I would make sure they get finished even if I had to learn how to do them myself. Is there anyone that can help me out with finishing them and or teaching me? She just passed on in November at the age of 97 and she put so much work into them. 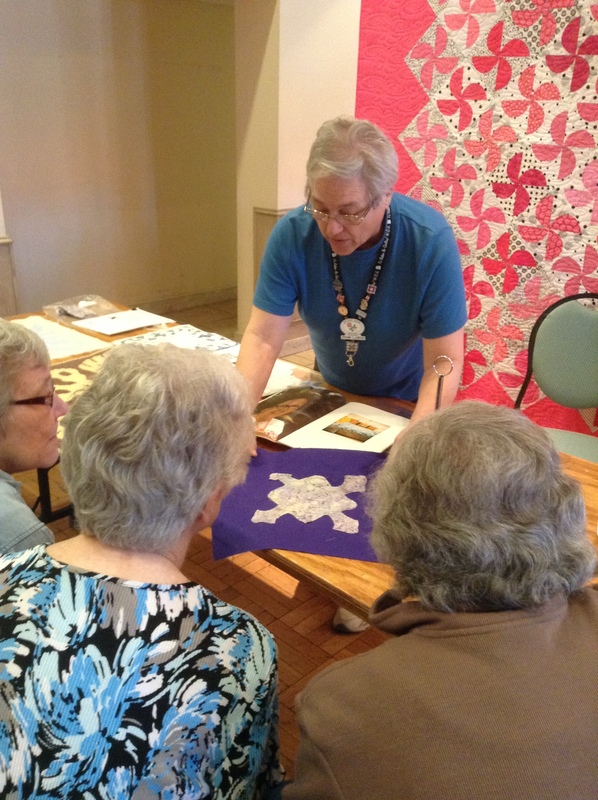 Has anyone gotten back to you regarding your grandmother’s quilts? If not I can certainly ask the girls at our next guild meeting if anyone would be able to help you out.The difficulty lies in trying to match fabric. Do you have any sewing background? Are they hand quilted?